Welcome to the Cooper-Siegel Community Library! Click the bubble below and tell your Cooper-Siegel story! 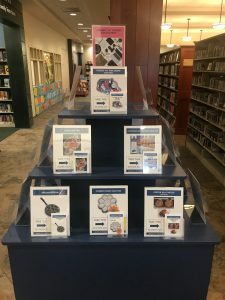 This is a unique collection of electronic equipment, household items, tools, and other non-traditional library items. These “things” can be checked out like books or movies and returned to the library at the end of the loan period. Each item comes in a container that makes it easy to carry, so taking it home and returning it will be a breeze. To see all of the items available, please click here. New ways to stay in the know! Burbio.com is a FREE website and app that puts school, library and other local events all in one calendar. You can create a personalized event feed and even sync events to your Google or iPhone calendars! You’ll also receive important notifications if events change. 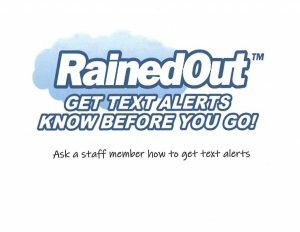 Be alerted immediately when CSCL has a business closure due to inclement weather or power outage through Rained Out, a free text alert system. There’s nothing to download, just click here to enter your phone number through CSCL. It’s that easy! Code Club Thursdays, Early Session! …Or download the Printeron app from the Apple App Store or Google Play! Click the link below for the Dog Park Permit form.